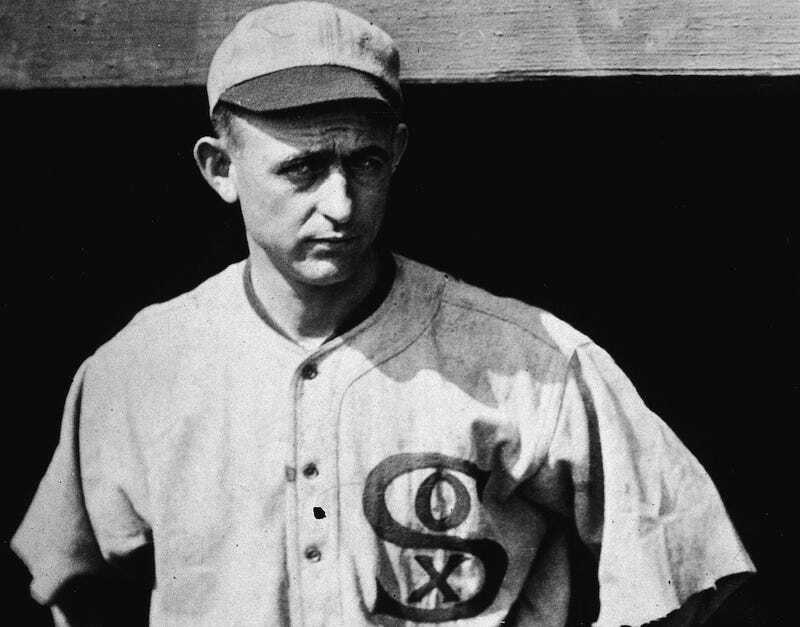 The sports auction house Leland's announced on Thursday that it was willing to pay $1 million for the signed confessions of the eight Chicago White Sox accused of throwing the 1919 World Series, which the heavily-favored Sox lost to the Cincinnati Reds. The only problem is, they might not exist. Leland's, and history, suggests that once the players—"Shoeless” Joe Jackson, Eddie Cicotte, Claude “Lefty” Williams, Buck Weaver, Arnold “Chick” Gandil, Fred McMullin, Charles “Swede” Risberg and Oscar “Happy” Felsch—were indicted for intentionally losing games in exchange for easy money, the signed confessions "mysteriously" went missing from the D.A. 's office on the eve of trial. Without the confessions, as well as a lack of evidence, the case fell apart, and all eight players were found innocent. Despite the acquittal, all eight were banned from baseball for life in 1921 by the game’s first commissioner, Kennesaw Mountain Landis. That would be a very cool bit of baseball history to own. However one guy, Bill Lamb, isn't buying it. Lamb, a former prosecutor in New Jersey and SABR member for over 20 years, including a position on its Black Sox scandal research committee, says the signed confessions are historical fiction, drummed up by writers "who did not have access to the actual Black Sox criminal trial record, and did not know what they were writing about." Please be advised that the documents that you seek — “the actual signed confessions ” of the Black Sox players — do not exist. Indeed, no such document has ever existed. The statements given by Eddie Cicotte and Joe Jackson on September 28, 1920 , and Lefty Williams the following day, at the law office of White Sox legal counsel Alfred Austrian were oral, taken down by an office stenographer. These statements, now readily available on-line, were never signed. By the time that the statements were transcribed, Cicottte, Jackson, and Williams had already testified before the Cook County grand jury. The so-called stolen confessions were actually the original transcriptions of the Cicotte, Jackson, and Williams grand jury testimony. These documents were never signed, as grand jury witness do not sign the transcripts of their testimony. Any number of Black Sox chroniclers, from Eliot Asinof onward, later mischaracterized the grand jury testimony transcripts as stolen confessions and suggest that their theft from the Cook County State’s Attorney’s Office scuttled the criminal prosecution of the Black Sox. But such was hardly the case. Once prosecutors discovered that the original grand jury transcriptions were missing, they merely had the grand jury stenographers (Walter Smith and Michael Allen) recreate the transcripts from their stenographic notes. These accuracy of these second generation grand jury transcripts was not contested by Black Sox defense lawyers and the Cicotte, Jackson, and Williams grand jury testimony was admitted in evidence during the trial, following an evidentary hearing before Judge Friend on admissibility. It's fitting, in its own baseball-y way then, that not even the sport's biggest scandal can escape the purple prose that dogs it at every turn.